Lewis MacAdams at Friends of the Los Angeles River offices in Nov 2016. The Los Angeles River, once the lifeblood of the city, was encased in concrete by the Army Corps of Engineers after devastating floods in the 1930s. Before Lewis MacAdams began his work, most Angelenos were scarcely aware they even had a river. MacAdams’ unique use of poetry, art and community engagement help change the ways Angelenos think about their once forgotten river. His 30-year love affair with the river started one night in the winter of 1986 with a lot of heavy drinking. He and a few friends went down to a stretch of the river just north of downtown and cut a hole in the chain link fence, declaring the waterway "open to the people." "When I saw the river for the first time, it was just a tragedy it was so screwed up," MacAdams, 72, said. He asked the river if he could speak for it in the human realm and it didn’t say no. From that night on, the river became his muse. He went on to create Friends of the Los Angeles River or FoLAR to advocate for it. At first people didn’t understand why MacAdams was so bent on restoring the natural ecosystem of what many people saw as a concrete flood channel. He envisioned a more beautiful waterway that would bring people and nature together. "When we started river clean up the first year, I called for 10,000 people to show up, and 10 showed up," MacAdams said. "But I didn't care, and people made fun of it, but I didn't care because I knew something was going on there." Andy Lipkis, executive director of the environmental non-profit TreePeople, said MacAdams has inspired him and others who pioneered L.A.'s early environmental movement. "Nobody has had the impact that he has had. He's not a classic leader but he is a classic visionary," Lipkis says. "We so undervalue visionaries because they're often a threat to us. They shake up our reality and have us uncomfortably see things we don't see." 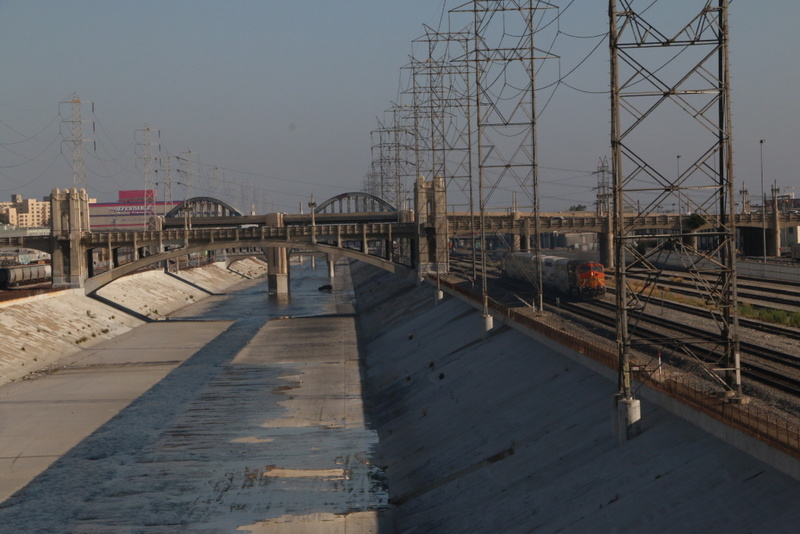 View of the Los Angeles River encased in concrete surrounded by railroad tracks and factories in downtown. In 1995, the city set about bulldozing all the vegetation in the L.A. River in the name of flood control. 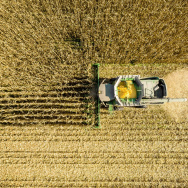 When MacAdams heard about it, he lay down in front of the bulldozers to stop the destruction. He called it performance art but it led to FoLAR's first meeting with the county government. 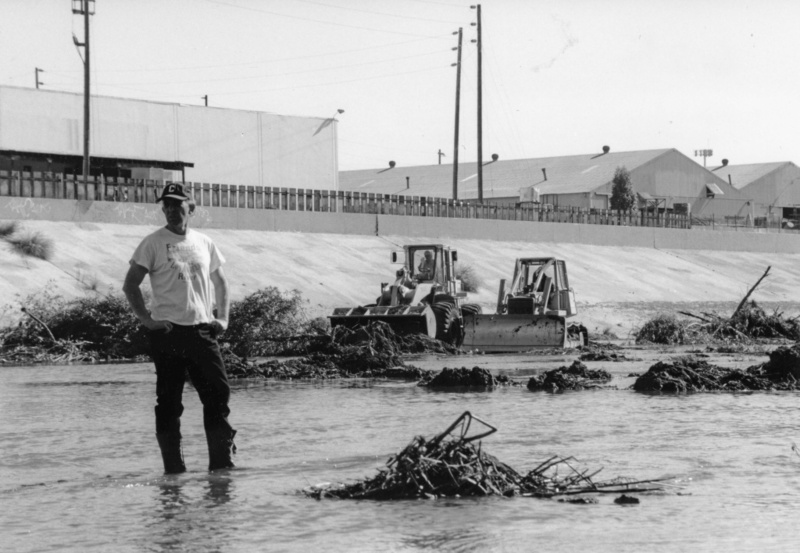 Lewis MacAdams protests the destruction of vegetation in the Los Angeles River in 1995 by standing in front of the bulldozers and refusing to move. It took decades to settle that argument. In 2008 the L.A. River was officially designated as a "navigable waterway" by the Army Corps of Engineers. 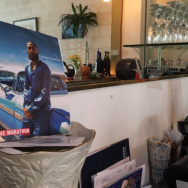 The crowning jewel of his push to revitalize the waterway is the so-called Alternative 20 plan, passed by the Los Angeles City Council this June. It’s a $1.3 billion plan to revitalize the river —removing concrete, restoring the ecosystem and creating more bike lanes and public parks. MacAdams didn’t do it alone. 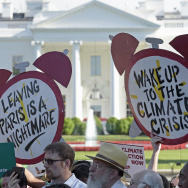 The plan is the result of work by many politicians, engineers, scientists, community activists, artists and environmentalists who MacAdams energized over decades. Mayor Eric Garcetti, a former creative writing student of MacAdams, said he inspired him push hard for river revitalization in his political career. 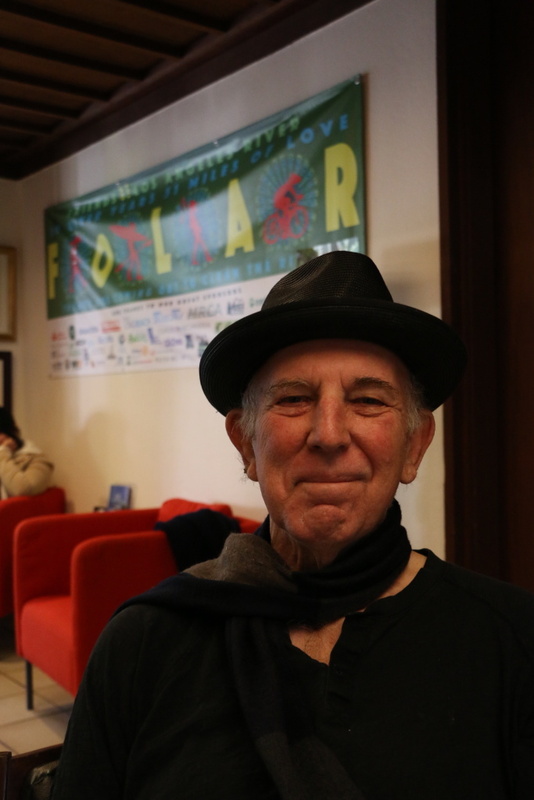 On Thursday, MacAdams will step down as president of FoLAR. Marissa Christensen, the current senior policy director, will take his place. He said he's turning over the reins with regret that he couldn't have accomplished more. "Well, we haven't gotten any concrete out yet," he said. "When we get some concrete coming out, I'll give myself the benefit of the doubt." MacAdams insists he isn't retiring despite his recent stroke. He plans to stay on FoLAR's board and continue urging people to make their own personal connection with the river. But how? "That's a question many people have asked me and the answer is basically just take a walk along the river and the river will tell you what to do next," he said. "It's no secret." 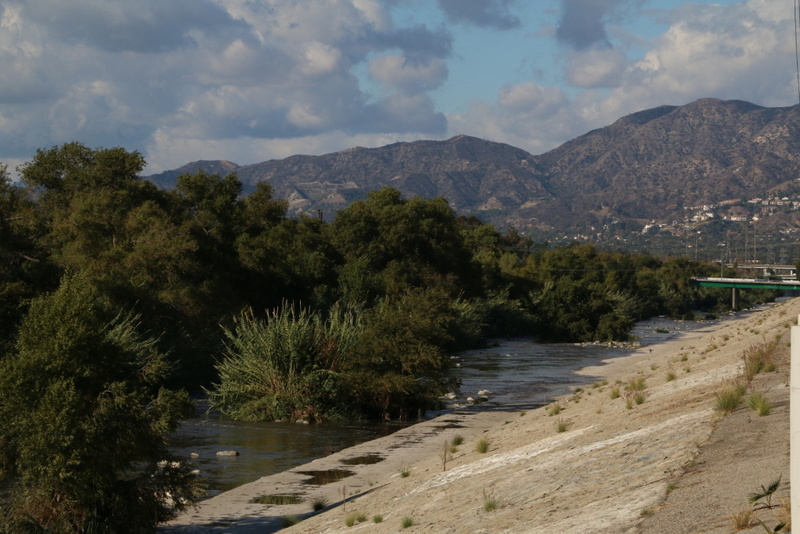 View of the Los Angeles River from the Bowtie Projects adjacent to the Elysian Valley neighborhood. from beneath her concrete corset.